Our beautiful plant stand from Achla Designs stands elegant and pretty for use in the courtyard or patio. It is also a suitable consideration for indoor use. 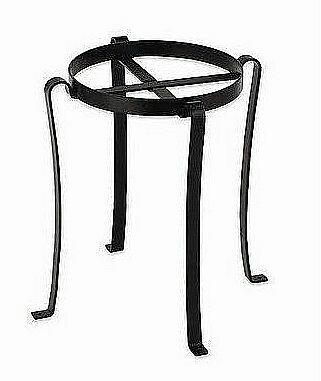 Made of durable wrought iron with a black powder coated finish, this plant stand will do well outdoors since it comes with a weather resistant finish.